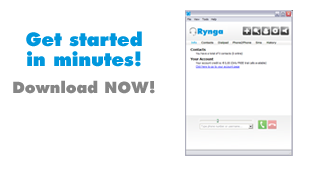 You can now enter any (international) number you want, and Rynga connects your call (always use the international format for your calls, for instance 0044201234567 for a UK call). Costs for the onward calls will be settled via your Rynga-account at the current rates. After entering the telephone number you want to call, you will hear the current rate of the destination you are calling so you know exactly what each call will cost - in advance.